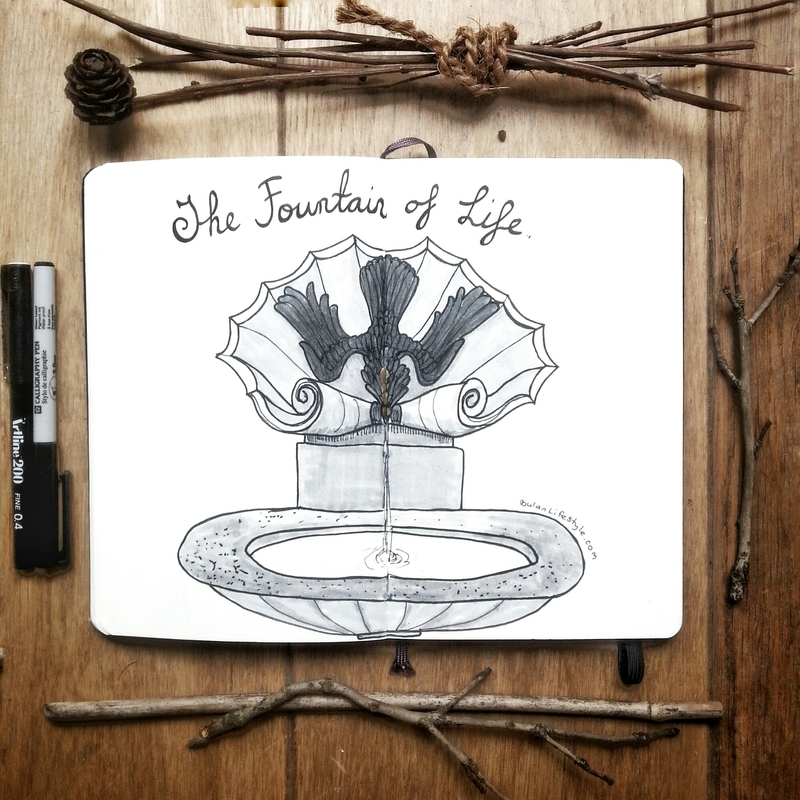 Fountain of life. Basel, Switzerland. Sketch of the day in my moleskine art journal is of a fountain with an eagle from my recent trip to Basel, Switzerland. My travel list just gets longer the more I travel. haha no way! That would be so cool. Wonder where that is. A friend of mine did a walk in Spain, I think it was, and she came across a fountain at a monastery that dispensed red wine!! these are everywhere in Switzerland. Such a good idea if we brought the drinking fountain back! Très joli dessin. I like the lack of colour, renders the stone impression well.